Thank you for coming here to read about keyword research. While we cover the secrets way to rank for your competitive keywords, we request you to read our earlier articles on the topic. You can even call us or write a mail to us to know about keyword research program. We also offer digital training programs for new SEOs. You have arrived at this page. I presume it’s because you are already familiar with what keyword research is. It is only that you want to do it quite a little better than your competitors so that you can gain on ranking and sustain the ranking for keywords you previously used to rank higher. Let us guide you with the keyword process. Some of the tips mentioned might have been read by you on other blogs, but then we have tried to serve them fresh. Read on, and if there’re any recent update or ideas about improving keyword research, should we need to tell we are waiting for your comments? Finding out a smart list of targeted keywords. Finding out long-tail but important keywords – Auto-suggest options. Finding out keywords with intent. Finding out keywords based on products. 4 How to stay informed about keyword research ideas? 4.1 Finding out a smart list of targeted keywords. 4.2 Finding out long-tail but important keywords – Auto-suggest options. 4.3 Finding out keywords with intent. 4.4 Finding out keywords based on products. When it comes to SEO, keyword research is something that you need to work out quite effectively. Once upon a time keyword research was primarily limited to some default tools such as Google keywords Tool – but then as the necessity to rank higher becomes more relevant for brands who made a switch from offline to online presence, a number of different tools surfaced. Some are available at free of cost while some are paid. These tools claim to provide the valued set of informed ideas to outperform your competitors with keyword research help, but let us tell you, most of these tools are of no help if you are not defined by your goals. Tools are still an automated assistant that are designed to serve you. But if you are not sure of how and what to achieve; these tools don’t come to any help. With proper keyword analysis, you can find out the successful and productive keywords and pay more attention and budget to them. On the other hand, you can eliminate or list out the not so popular and nonproductive keywords. 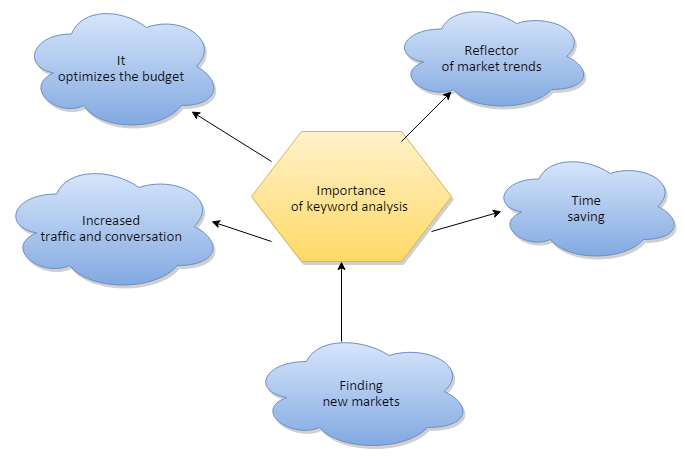 This analysis is the best way to identify the keywords that are actually working and by placing them in focus you can surely increase the online conversation rate on your website and assure the best return on your funds. While your analysis the trends in keywords search frequency you can easily get the inside understanding of the ongoing market and business behavior. Once you get the nerve of the aspects of the market, you can optimize your efforts according to it. By knowing the most preferred keywords you can easily understand the points to be paid more concentration, attention, and time. It saves time and increases the results at the same time. A successful keyword analysis shows the path of finding new queries and ways of warm corresponding leads. How to stay informed about keyword research ideas? The first and perhaps an essential leap that you can do is to know about the competitors – what the websites that are in your niches are targeting. If you are competing against keywords that are not very complicated, and that if there is not so much of competition, you can work out using any basic tool. Choose highly important keywords with low competition rate. But what if there is enough competition for the keywords you want to rank. That’s where you can take help from Google Keyword Planner – a trusted and old tool recently rebranded that is great to guide you through the basic. By putting a keyword phrase, you get a list of fairly generic terms which are almost close to your core phrase. This is a good trick to get your list of important keywords. Another important trick to getting closer to doing keyword research smartly is to find out long tail but less competitive keywords. Auto-suggests options from Google and other search engines is a great way to know the set of active queries about your phrase. Now, what if you can find the suggestion in a single window from a set of search engines. There are many free tools that can help you guide, One being SOOVLE.COM – Instantly entering your keyword phrase returns your query with active queries from other search engines Ubersuggest.org is another tool to do the keyword searching stuff smartly though it is mainly about pulling out results from Google. There are other ways to pitch in new keywords too. Meanwhile, if you want to know more about the informed list of doing keyword research, you can read our earlier articles. 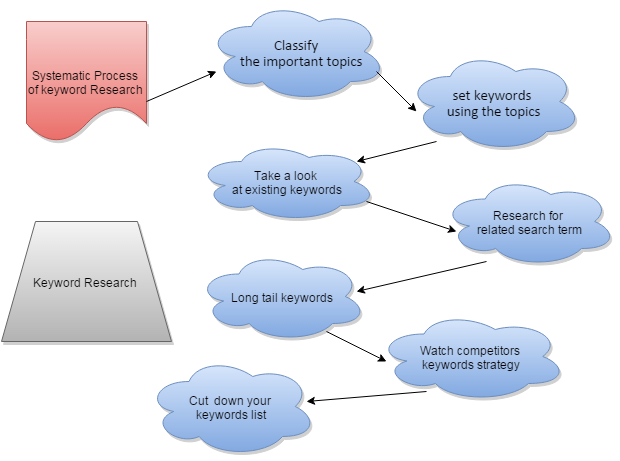 If you have ideas to talk about keyword research, please click our article. If you want to talk about an idea, please contact us. Other than offering keyword research guidance and help for keyword analysis, besides other advanced SEO help, Digital Seo Guide is also going to start off with advanced SEO training programs. If you want to rank for keywords as a brand manager, or if you want to know how to rank for keywords as a webmaster, our training guides you through the proper steps. Keyword research is important as much as any other SEO technique. If you need to rank well for competitive keywords, start off thinking out. The better your ideas are at work, better rank you gain. Thank you for reading.